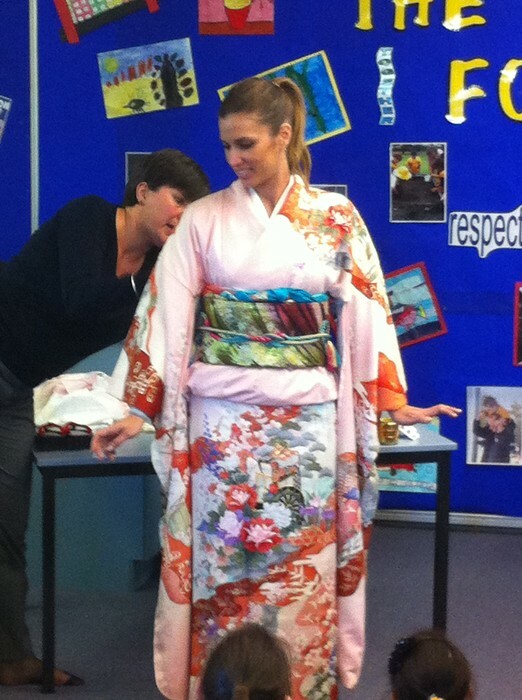 Miss Clarke was dressed up in a Kimono. A Kimono is the traditional dress of Japan. It has many layers and take a while to put on. There was a first layer, with a small belt. A second layer was put on with padding and a large belt which was twisted and draped around and over the shoulders and waist. It was amazing to watch this being done.